"Are you always in pain? Are you exhausted every minute of the day? Is your Fibromyalgia effecting your family and social life? " Do you experience deep muscle pain, painful tender points all over your body? Are you unbearably stiff when you get up in the morning? Are you always fatigued and have problems sleeping? Are you anxious and depressed about how your life has changed? Many Fibromyalgia suffers describe symptoms as being like having painful flu - all the time. Are you one? Over the years I've had many suffers of Fibromyalgia walk through the doors of my clinical hypnotherapy practice. They're cowed by life. In pain. Exhausted. But they also want a natural, holistic way to heal. One without side effects so often associated with current Fibromyalgia drugs. "Most physicians these days are aware, almost exclusively, of only the most expensive medications, surgery and procedures." ~~ from an article entitled "Hypnosis and Fibromyalgia" in Psychology Today, written by Jacob Teitelbaum, MD. If you start looking at the side effects of many of the drugs now on the market for Fibromyalgia, they're almost as scary as the symptoms of the syndrome. So what safe alternatives are open to you? Many Fibromyalgia sufferers attribute reduction in their symptoms to the power of hypnosis. Fibromyalgia sufferers often use hypnosis as a way to limit their pain symptoms and increase their energy and comfort level. A study conducted by the National Institutes of Health showed that Fibromyalgia sufferers undergoing hypnosis reported 80% fewer pain symptoms than those who received no hypnosis treatment. NOW YOU CAN BENEFIT FROM THE POWER OF HYPNOSIS IN THE COMFORT OF YOUR OWN HOME! One of the most rewarding aspects of my job is to see the change that hypnosis can bring about in my clients' lives. Over 3-5 million people suffer from Fibromyalgia in the US alone. And so I have developed a program that will enable you to experience the power of hypnosis in the comfort of your own home. Each title has been chosen to address a holistic healing solution for you. Through LIVE, clinical sessions or CD/MP3 sessions. 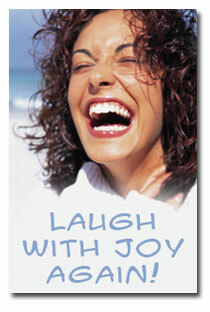 Hypnosis is a great solution for reducing your feelings of anxiety because it is positive, safe, and gentle. During this session you will experience a deep relaxation and calming of your nerves. You’ll dip into the resources of your inner mind to develop strategies for bringing calm into your everyday life. Using Neuro-Linguistic Programming and future pacing as well as hypnotherapy, this session will quickly help you build up your confidence in all areas of life. Once you’ve learned the secrets to building confidence in yourself, it stays built! That's why this session is so effective. You’ll learn how to move forward unencumbered by negative self-talk. Wellbeing starts in the mind. Hypnosis is extremely effective at helping you build the basis of a healthy life because it works at the deep inner mind level to reprogram your mind to expect and welcome health into your life. What this means to you is that you’ll start to focus on wellness instead of aches and pains and sickness and you’ll naturally want to participate in activities that are nurturing and restorative. Scientific research indicates that guided imagery and self-hypnosis with pain sufferers can have significant, measurable benefits. This is because our inner mind aids in our body’s natural ability to heal and regulate body pain. This session will take you deep into relaxation where your body will experience the bliss of muscles relaxing and pain diminishing. Through hypnosis and Neuro-Linguistic Programming techniques, the body is requested to heal and repair. You’ll be given suggestions to enhance your capacity for physical self-knowledge and be encouraged to adopt healthly self-care habits. This session is extremely effective because it works on many different aspects of this syndrome. During deep relaxation, your inner mind is able to access its natural healing areas to effectively dial down pain receptors and increase blood flow to tender areas. Naturally occurring chemicals in your body are programmed to release gently to aid in your feeling of well-being and health. What this means is that you will learn to relax deeply and will implement helpful self-care techniques. Over 15 years of solid scientific research has demonstrated hypnosis to be an effective, safe and inexpensive choice for IBS alleviation. Through relaxation, blood flow will be improved to the gut to aid digestion and the movement of food through the bowel. What this means is that, as you listen to this session, you’ll notice that your symptoms of IBS start to decrease. Hypnosis is EXTREMELY effective in helping you retrain yourself to sleep as soundly as a baby. Listen to this Session to both help you fall asleep quickly and to keep you asleep through the night. This session works by first helping you to relax and tune into how your body feels. Once you are in a completely relaxed state, your mind will be trained to want to exercise. Your ability to enjoy the naturally occurring chemicals that are released into your body when you exercise is amplified, and suggestions are given to you to associate these good feelings with the act of exercising. PDF Instructions on how to use these sessions to take back your life! You'll listen to these sessions for one week at a time. Just 20 minutes a day can put you on track to change your life! 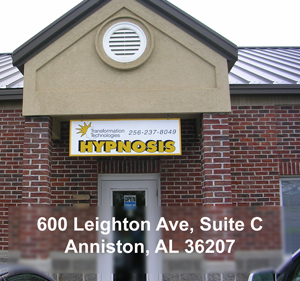 Experienced Hypnotist - Tim Brunson, PhD has over 15 yrs of experience in a clinical setting. Over the years he has had success working with Fibromyalgia patients. Listen to sample of his voice here. He is the founder of The International Hypnosis Research Institute where he conducts online hypnosis and Neuro-Linguistic Programming courses for other therapists, MD's, nurses, dentists and counselors. Brain Entrainment - Added power - brain entrainment feature for optimal hypnosis success. * The brain entrainment feature used during the sessions is designed to allow the healing suggestions to firmly take hold. The entrainment used with the sleep music (Somnis) is designed to gently 'entrain' your brainwaves to those associated with sleeping (delta). Beautiful "SOMNIS" Music CD INCLUDED AS A FREE BONUS - IF YOU ORDER IN THE NEXT 48 HOURS! The sleep music slows from 70 beats per minute (bpm) to 40 bpm in order to gently coax you to sleep. Designed for use at bedtime. 36 minutes. Two versions included - one with brain entrainment (helps brainwaves move from beta to delta/sleep - Listen here) and one without (Listen here). These samples are taken at different points in the music. "It was a very wonderful relaxation. At each suggestion, I felt my body relax more and more. " "Wouldn't you like to begin reclaiming your life today? " How do you think you'll feel once you can start living a life without debilitating pain and fatigue? These sessions should not be used in lieu of medical treatment. No suggestion will be given to alter medications or to act contrary to medical advice. This program should only be used with the approval of your physician. No intention is made to provide medical or psychological advice. We also have the single Fibromyalgia title, Weight Loss and Stop Smoking packages as well as single sleep hypnosis products. Benefit from individualized hypnosis sessions. Call 256-405-4103 for more information. Our office is located just 10 minutes north of I20 in Anniston, Alabama. pain? Curr Rheumatol Rep. 2009 Dec;11(6):443-50. Review. PubMed PMID: 19922735. Ital Biol. 2008 Jun;146(2):75-82. PubMed PMID: 18822796. May;13(5):542-50. Epub 2008 Jul 23. PubMed PMID: 18653363.
treatment synergizes the psychological treatment of Fibromyalgia: a pilot study. Am J Clin Hypn. 2008 Apr;50(4):311-21. PubMed PMID: 18524298.
syndrome]. Schmerz. 2008 Jun;22(3):295-302. German. PubMed PMID: 18458959. Sep;4(3):367-74. PubMed PMID: 17965769; PubMed Central PMCID: PMC1978240. syndrome]. Rev Med Inst Mex Seguro Soc. 2007 Jul-Aug;45(4):395-401. Spanish. Pain Palliat Care Pharmacother. 2007;21(2):61-7. PubMed PMID: 17844729. May;11(4):463-8. Epub 2006 Aug 4. PubMed PMID: 16889999.
autogenic training]. Nippon Jibiinkoka Gakkai Kaiho. 2005 Dec;108(12):1171-4.
hypnotically induced and imagined pain. Neuroimage. 2004 Sep;23(1):392-401. Acad Sci. 2001 Mar;933:130-41. Review. PubMed PMID: 12000016.
pain. Clin J Pain. 2001 Dec;17(4 Suppl):S114-27. Review. PubMed PMID: 11783824.